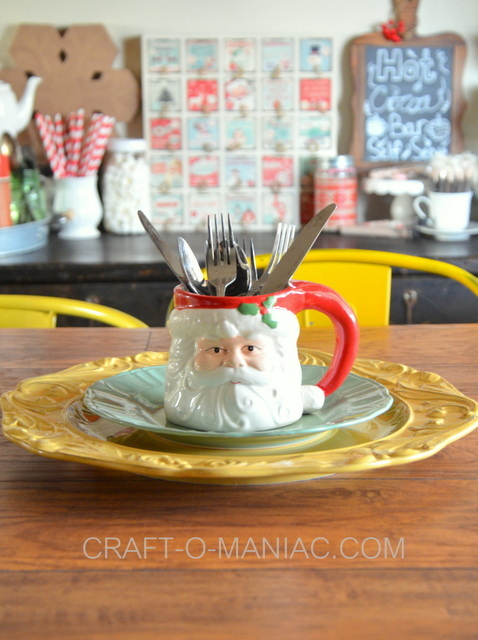 Hi guys, I am finally getting around to sharing another Christmas post, GAH! this time of year is crazy. 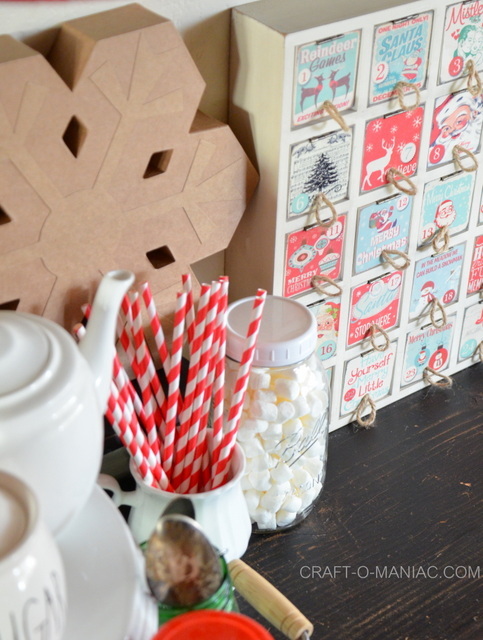 Today, its all about “My Christmas Hot Cocoa Bar”. 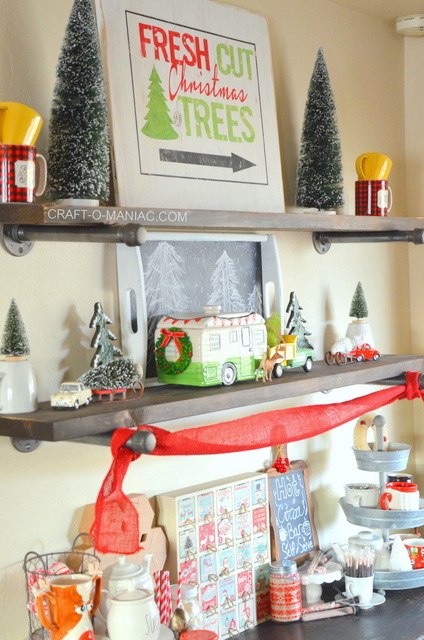 One of the things I love in our new home is the industrial handing shelves my hubby and I did together. 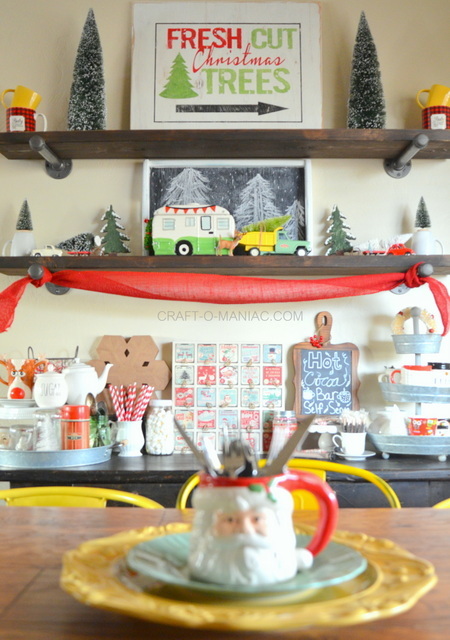 I still may even chalkpaint the back wall or paint it another color, maybe even white. 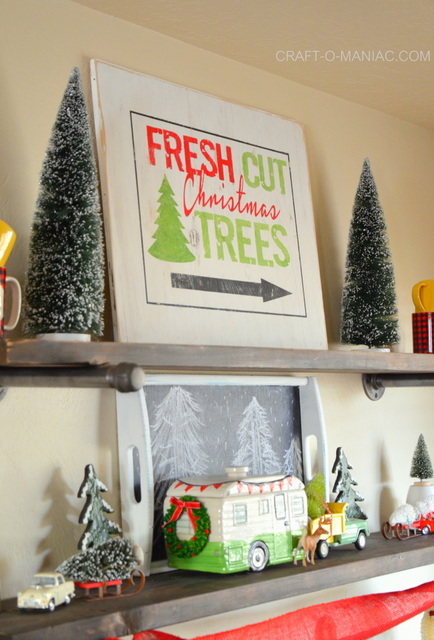 Anyway, we moved some furniture around in the front room to make room for the large tree. So the black entry/couch table got moved to the kitchen and placed under the industrial shelves. 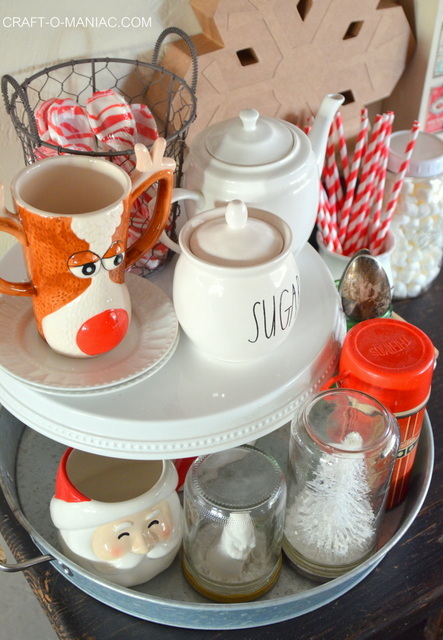 I actually love it there, and it makes for a great hot cocoa bar. Everything is at the bar you would need minus the hot water. 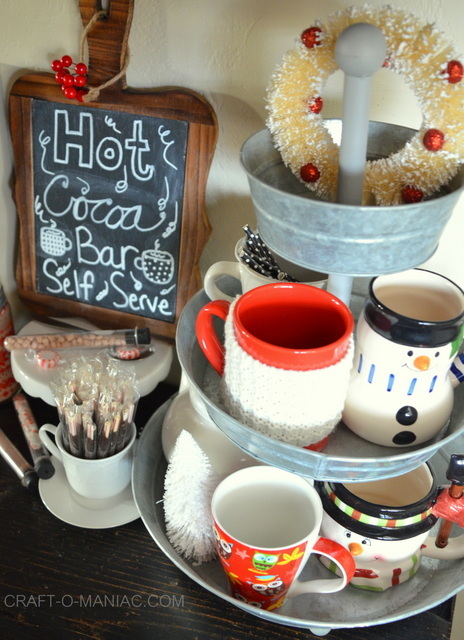 Once you fill your mug with hot water, you can hit the hot cocoa bar for all your goodies. I will try and do my best to share where things are from, please be sure to see the bottom of the post for sources. 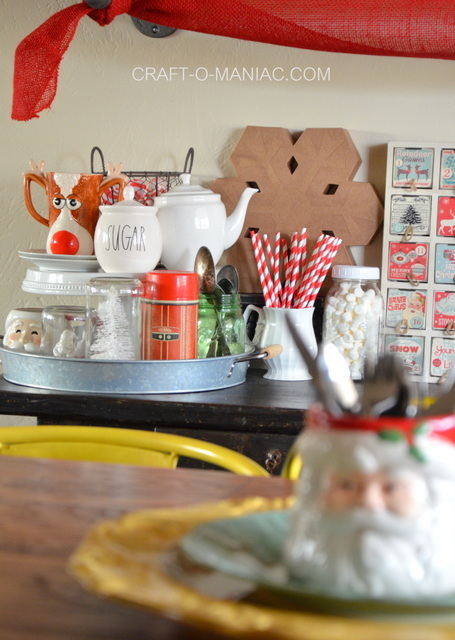 I love the whole festive space and its fun to look at it, while eating at the kitchen table. This is not a sponsored post, all opinioins, wording, and images are 100% mine. Love it! 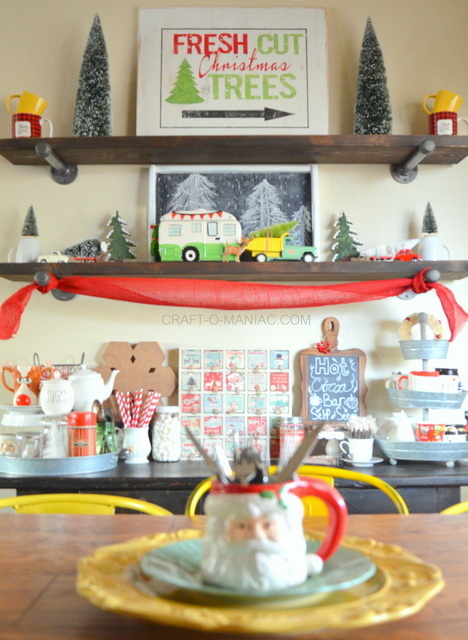 I adore your bottlebrush trees in the mason jars!